The delicate Athena MOD by GeekVape is a compact yet powerful mechanical squonk mod with 6.5ml Silicone squonk bottle. 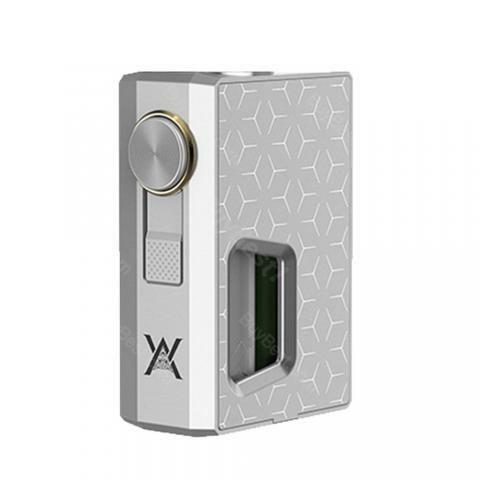 The Athena Squonk MOD is powered by a single 18650 cell with safety lock switch. Now you can find a new partner for your Athena RDA! Powered by a single 18650 battery, the GeekVape Athena MOD is a delicate yet powerful Squonk MOD with 6.5ml food-grade Silicone squonk bottle. The GeekVape Athena also comes with a safety lock switch to prevent accidental firing and a high grade material induction for maximum power output. Along with an auto-adjusting 510 pin which provides wide tolerance to various atomizers and reduces possibilities of leakage, Athena Squonk MOD will bring you an extremely amazing vaping experience with easy and safe operation. Just get one right now! • No 18650 cell included. • Please make sure you have the proper knowledge with mechanical mods. • Quick Link: GeekVape Athena Squonk RDA ; Geekvape 6.5ml Squonk Bottle ; Arctic Dolphin 17ml Squeeze Bottle. squonk mod seems very popular in 2018. That's why I order one. Preis-Leistungs-Verhältnis ist super, dass Produkt wurde wie angegeben schnell geliefert. GeekVape Athena Mechanical Squonk MOD ist gut. GeekVape Athena Mechanical Squonk MOD got some small and nice design, very friendly to starters.